Let The Country Cookbook transport you to a simpler place and time: a place where neighbours leave boxes of surplus vegetables on the doorstep, winter provides an excuse to make a pie with the windfall apples, and there's time for a cup of tea and a slice of homemade cake. Inspired by the bountiful produce at her local farmers' markets, Belinda Jeffery chronicles the changing seasons and shares the recipes that punctuate her days. Whether you want to make a fine winter dish of chicken, slow-cooked onions and lemons, an autumnal pecan and maple pie to share, a fragrant coconut salmon in banana leaves on a hot summer night or a last-minute Christmas cake, The Country Cookbook will bring a taste of the country into your kitchen – and into your life. Belinda Jeffery has shown herself to be the quiet achiever of the food industry. Renowned for her warm and reassuring style, she has garnered a strong following through her career as a chef, cafe proprietor, TV food presenter, radio personality and cooking teacher for her never-fail recipes and the pleasure she receives from sharing her knowledge and love of good food with others. 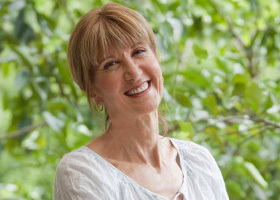 Belinda Jeffery is the award-winning author of The Country Cookbook, Mix & Bake, Belinda Jeffery's Tried-and-True Recipes and Belinda Jeffery's 100 Favourite Recipes. She has shown herself to be the quiet achiever of the food industry. Renowned for her warm and reassuring style, Belinda has garnered a strong following through her career as a chef, cafe proprietor, TV food presenter, radio personality and cooking teacher for her never-fail recipes and the pleasure she receives from sharing her knowledge and love of good food with others. In 2002 Belinda and her husband traded city life for the Far North Coast of New South Wales, where she now focuses on writing and teaching. She is a regular contributor to Delicious. and other food and wine magazines, a restaurant reviewer for The Sydney Morning Herald Good Food Guide and an experienced judge for a number of industry awards.